Fees associated with filing an industrial design application in the United Kingdom as well as other design fees are available in the fee calculator. Multiple-class design applications are possible in the United Kingdom. 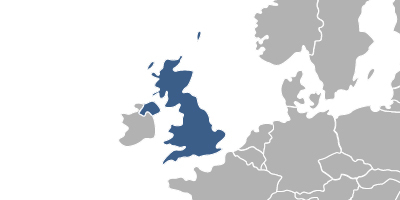 The official languages of the industrial design prosecution before the UK Patent Office are English and Welsh. - proof of payment of the relevant fee. Currently, the legislation of the United Kingdom does not require submitting a Power of Attorney when filing a design application. The submission of the Priority Document is not required. The term for filing an industrial design application claiming conventional priority in the UK is six months from the priority date. A design application in the UK undergoes both formal and substantive examinations. No specific examination request or fee shall be submitted. The novelty grace period in the UK constitutes 12 months before the filing date or priority date. If the application became available to the public due to the disclosure made in bad faith by any third party or made by the designer, his successor in title, or a third party as a result of information provided or action taken by the designer or his successor in title within the above-said period, it does not disprove the novelty of the design in the United Kingdom. No official grant fee is required to be paid. Validity term of the patent for the industrial design in the UK constitutes five years as of the filing date. This term may be renewed four times up to a maximum of 25 years. An application for renewal must be filed six months before and one month after the expiration date of the registration to avoid late payment fees. Late payment is possible within a six-month grace period by paying a corresponding surcharge. For foreign applicants residing outside the United Kingdom or the European Economic Area (EEA), it is recommended to perform the trademark prosecution in the UK through an agent, a registered UK patent attorney, or a foreign lawyer provided that he has an address for service within the EEA. 1. Online Search Database for UK Industrial Designs. 2. In the UK there is specific legal protection for unregistered designs which is called “Design Right”. The design right may cover 3-dimensional shapes only. The validity of a design right is ten years after the first marketing of articles that use the design, or 15 years after the creation of the design - whichever is earlier. 3. Industrial design protection in the United Kingdom may also be obtained via registration of the Community Design.